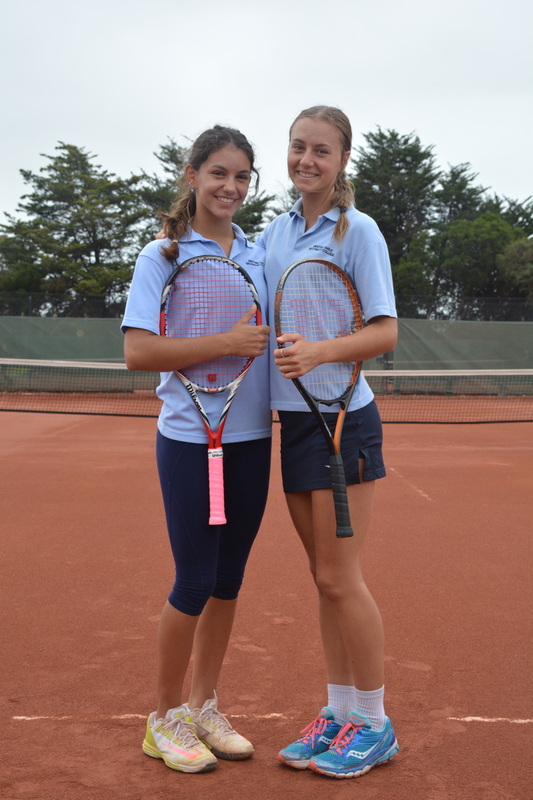 Vivian is a Year 11 student who plays Tennis competitively outside of school. How was your summer of tennis Viv? Did you compete in any tournaments? I trained four times a week at various tennis clubs but I didn’t compete in any tournaments over the summer. Last weekend I did compete in the Open Kooyong Club Championships where I won both my singles and mix doubles events. What sort of training did that involve? Between training on the tennis court I did running up the hill at Black Rock beach and strengthening work at home. I also watched a lot of the Australian Open and even went three times. Has your tennis developed due to all that training? Absolutely. I have relaxed a lot in my tennis in the last year and it has resulted in improved performances. A lot of tennis players put too much pressure on themselves & I just wanted to enjoy my tennis. It has helped. When did you start playing tennis and why? I started playing when I was around 4 or 5. My first tennis club was Chelsea Heights and I have since moved to other clubs with a coach who has really helped my tennis. I have an older sister that I competed against and really wanted to beat. I think I have her measure now. What has been your proudest achievement in tennis to date? I was a National Finalist in Year 7 at Mildura and in Grade 5 I was accepted to the Bruce Cup which is the top 7 players in each State. What’s in store for the remainder of the year? What are your goals? I’d really like to get into the top 100s ranked in Australia. I am currently ranked 256th amongst all ages and professionals but getting into the top 100s is aim by the end of the year. I would really love to go to College in America to play tennis and study paediatrics or health and fitness. Hopefully if I can get my ranking low enough I can get a scholarship. Athlete? Novak Djokovic. Or Roger Federer, he is an all-time classic. Food? Chicken, chicken schnitzel. I really like chicken. Can I change that to pesto pasta? Song and band? Rihanna. I really like throwback songs from the 2000’s. Quote? “You cannot take for granted anybody. You cannot underestimate any opponent” Novak Djokovic. Class/teacher? Year 9 PE and all PE teachers. Moment at MGSC? Probably the Year 9 surfing trip we went for in O.Ed. Live a life that lasts 1000 years or 10 lives that last 100 year each? 10 lives that last 100 years each. Get up early or stay up late? Stay up late. Thanks for taking the time to answer the questions Viv, and good luck for the remainder of 2016 and beyond. Go Mentone.